The AWCC takes in injured and orphaned animals, and gives a permanent home to those that can't be released into the wild. And it was odd, but I had a very mixed reaction to this. I love animals, and I would rescue every animal orphan on the planet if I could. But it was jarring to suddenly see them -- I almost wrote "behind bars" -- in enclosures. 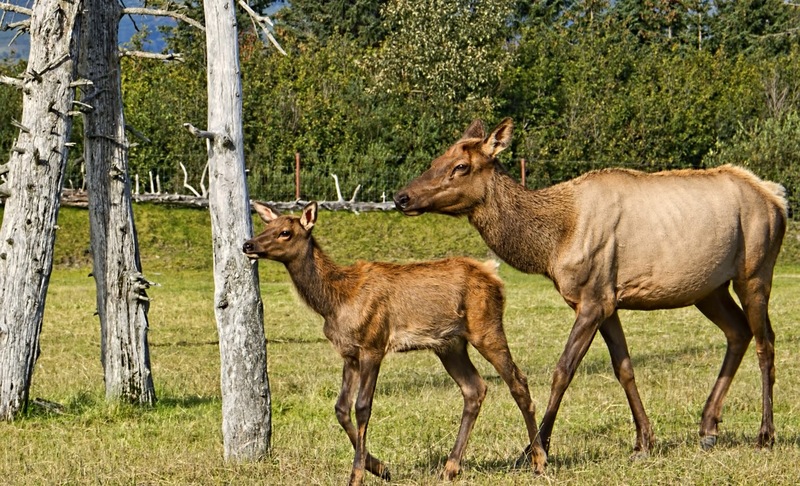 This mama elk and her calf are lucky; they're scheduled for release next year. And I could never personally allow an animal to die just because some idiot tried to keep it as a pet, which was the case with several of the animals here. But I hated to see them in captivity, and it had never bothered me so much before. I think I've got Alaska in the blood now.